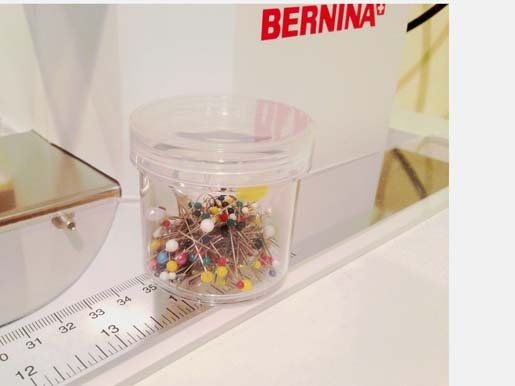 Brand Ambassador Lisa H. Calle shares some tips on what to do when it’s time to part with your old sewing pins. 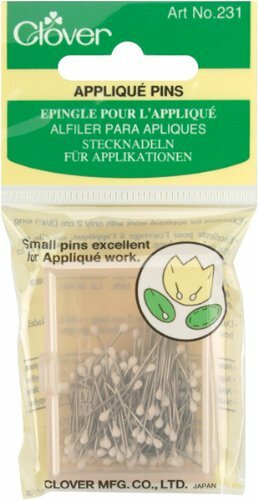 And if parting with your pins sounds a bit crazy, just read on to get some fabulous tips and tricks for keeping the simplest tool in your sewing room – the lowly pin – in tip top shape. Like a lot of my quilting friends, I organized my sewing studio over the holiday break. One neglected are of my tools was my large stash of pins I had collected over the past fifteen years. Most people probably don’t give much thought to their pins until it’s time to use them, and I was the same. My poor pin cushion had every kind of pin under the sun stuck in it and I began to feel sorry for the little fellow! Clover Patchwork Glasshead pins. I love these pins because they slide right into your piecing without any bulk to distort seams and they are very sharp. 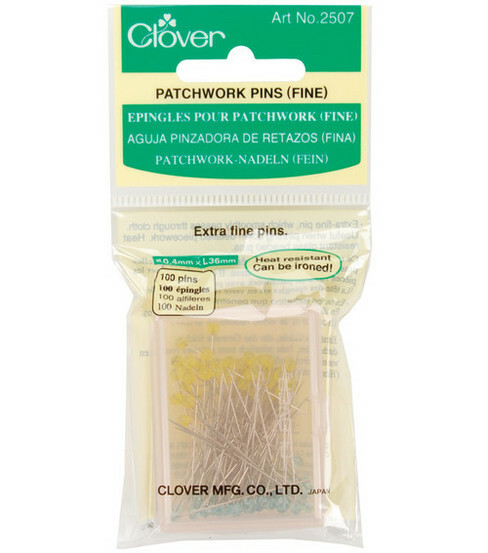 Clover Applique pins. I really like these because they are small and don’t get in the way when doing hand applique. Flower head pins. These are nice and long and flat. I use these for pin basting on my longarm. This is when responsible pin ownership comes into play! So what do you do with those old pins? No, don’t say it! I hope you are not about to throw them in the trash! Oh, your poor trash man. You need to grab an old bottle of some sort. I use a bobbin container but I have been known to use old prescription bottles, too. I am still filling this one, and once its full, I will put the top on and THEN throw it in the trash. 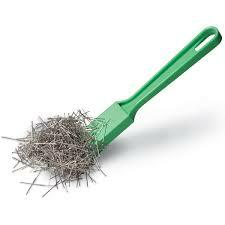 Make sure you are responsible when disposing of those sharp little buggers. 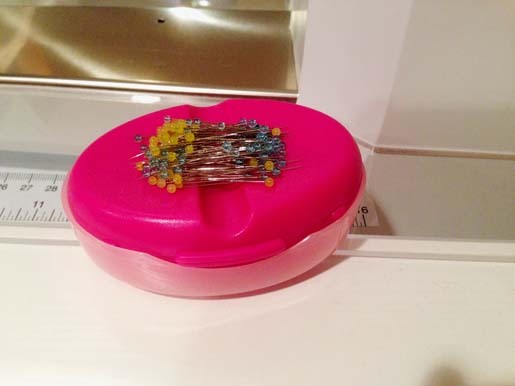 As for storing my pins there are so many different ways to store pins; such as pin cushions, wrist pin cushions, magnetic holders and the list goes on. I have given my Gecko a rest and no longer use him. I now use a magnetic pin holder that only holds one kind of pin. So this means I have three of these fantastic pin holders. Now, what do you do when you open your box of pins and they spill everywhere? 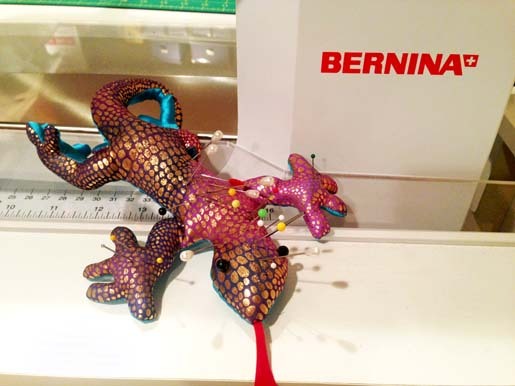 You will grab your magnetic pin wand and magically gather up all of the sharp little pins to save your tootsies! I put this on an empty, dry, distilled water gallon plastic jug and take the lid off when I need to throw away a pin or needle. The vets said they just set theirs out with the garbage but visible to the garbage man (on top) and then it has to be taken into the truck with the driver. What they do with them at the landfill, I don’t know. I would think you could cut a slit in the plastic jug in which to drop pins if you tape over it before you send it out. I’ve not had to send mine out yet, but I will take it to the landfill and walk it into the office when I do need to dispose of it. I’ve been filling mine for about 10 years, and it still only has a pile in the bottom…including longarm needles. A gallon jug holds a lot! P.S. Does anyone know where to recycle used rotary cutter blades? I could put them in the jug, too, but I’d rather donate them to someone who sharpens them. I use a prescription bottle as a sharps container for my pins & needles that are to be thrown out. I also use a prescription bottle to dispose of dull rotary cutter blades. I found that the 30 dram or 40 dram bottles fit the 45mm blades perfectly. You could use it for disposal if you don’t sharpen your blades or just as storage until you take them to have them sharpened. I made up a sewing kit for one of my granddaughters who wants to learn to sew and I included a prescription bottle for her to dispose of her pins and needles.